It’s not uncommon to hear stories from game developers and critics of people posing as YouTubers, reviewers, or other outlets to get free game keys from Steam developers. This one, however, takes the cake, with a side of coffee. Jacob Janerka, developer of surreal adventure game Paradigm, claims in a lengthy Imgur post that someone posed as the owner of a fictional game-loving coffee shop, seemingly for the sole purpose of squeezing a few spare game keys out of developers. They went all out, apparently saying in an email to Janerka that their shop allowed people to answer video game trivia for coffee discounts and games. Thus, they needed some keys. Janerka, however, was suspicious. “Why,” he asked, “is everything in English when your business is based in Ukraine?” He did some sleuthing and discovered that the address this “coffee shop owner” gave him led to a plot of dirt in the middle of nowhere, and while a coffee shop called “Boroda Drink” does exist in a different part of Ukraine, it’s in no way video-game-themed. 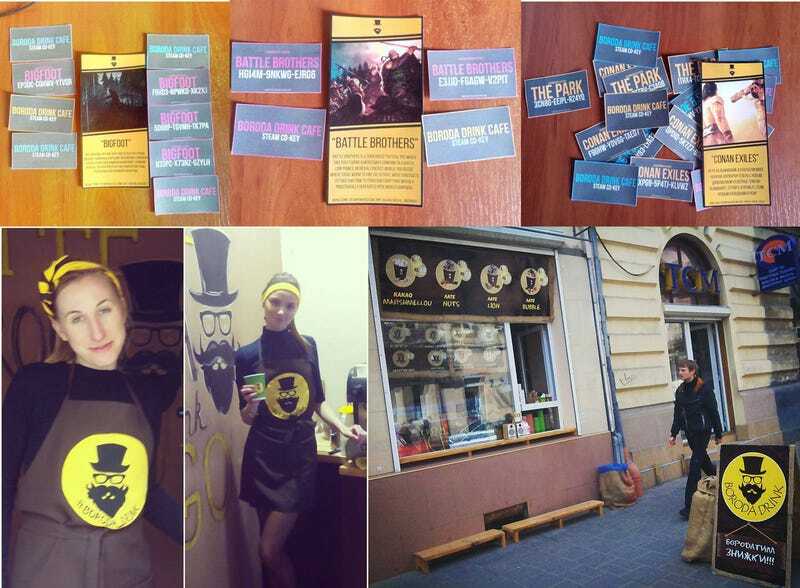 The above photos of employees and the shop, as it turns out, are from the real Boroda Drink’s social media page. Janerka says that the supposed scammer has since deleted their Twitter account and has not replied to his follow-ups.